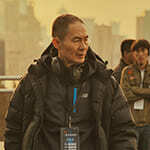 Ming Zhang is an established director, writer and professor of the Department of Directing in Beijing Film Academy. He made his debut with In Expectation in 1996, which was premiered in the Berlin Film Festival and won prizes in several international film festivals, such as Pusan, Vancouver, Torino and so on. Since, he continues making films with his distinguished aesthetics and film languages.